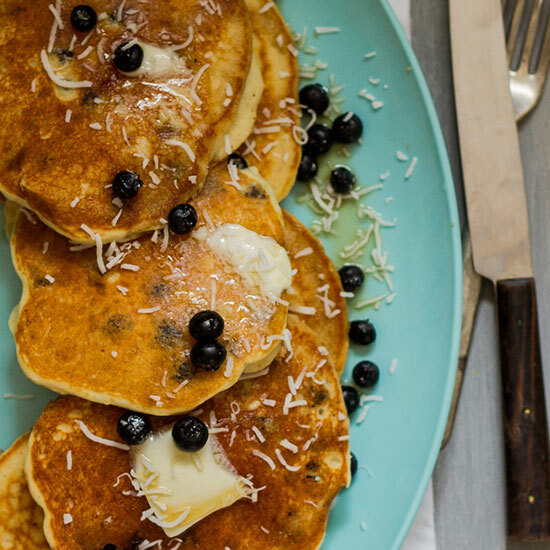 From classic blueberry pancakes to a composed fruit salad from star chef Stephanie Izard, here are great ways to eat blueberries for brunch. This easy twist on the classic parfait gets quickly browned under the broiler. 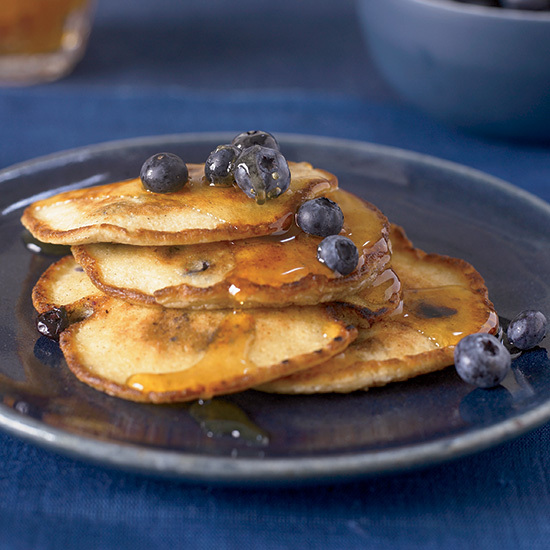 Made with coconut flour, these gluten-free pancakes are best with fresh blueberries but frozen ones will do in a pinch. 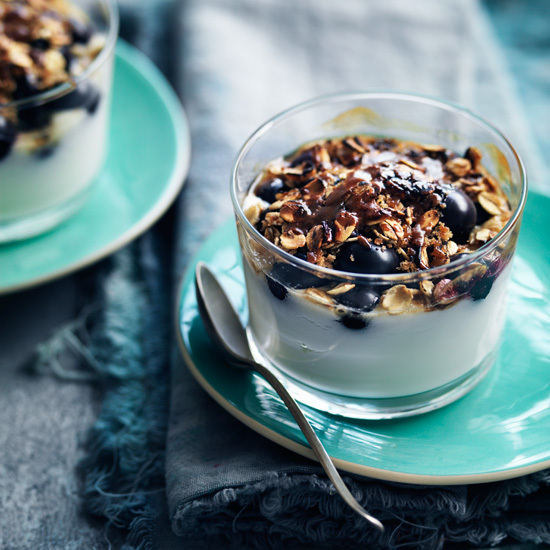 Blueberries add the perfect sweet bite to this healthy breakfast parfait. 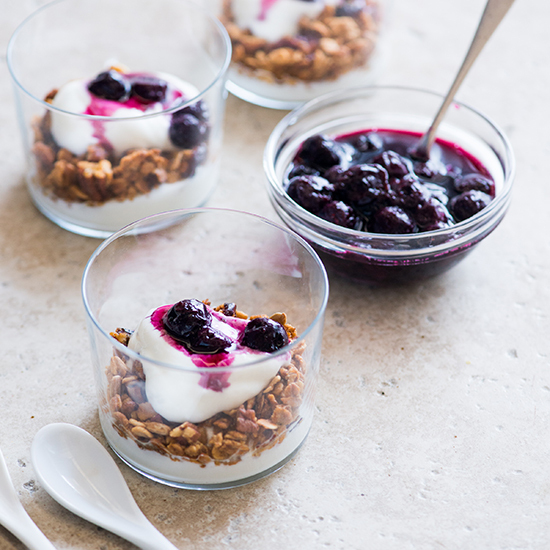 You can’t beat the combination of fresh berries, yogurt and granola. 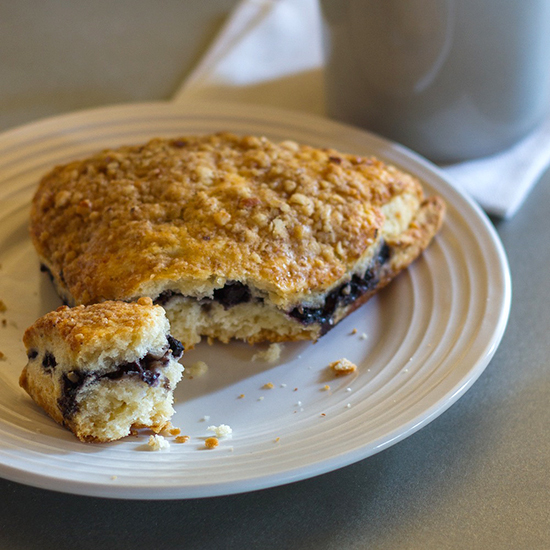 A combination of almond and arrowroot flours makes for perfectly dense, crumbly breakfast scones in this easy-to-follow recipe. 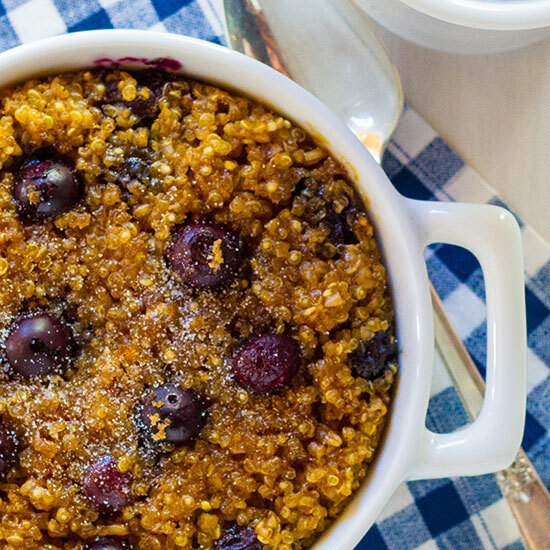 Blueberries are great on top of baked quinoa with steel-cut oats. They’re even better cooked inside. 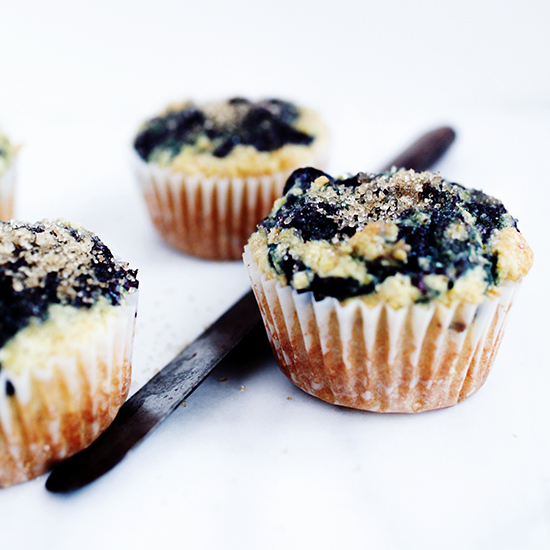 You can’t go wrong with fresh or frozen blueberries. 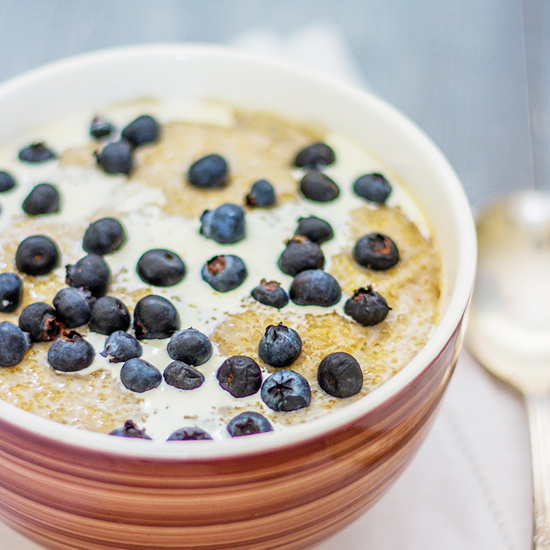 This hearty, hot amaranth breakfast cereal with blueberries, maple syrup and cream will warm you up on a cold day. 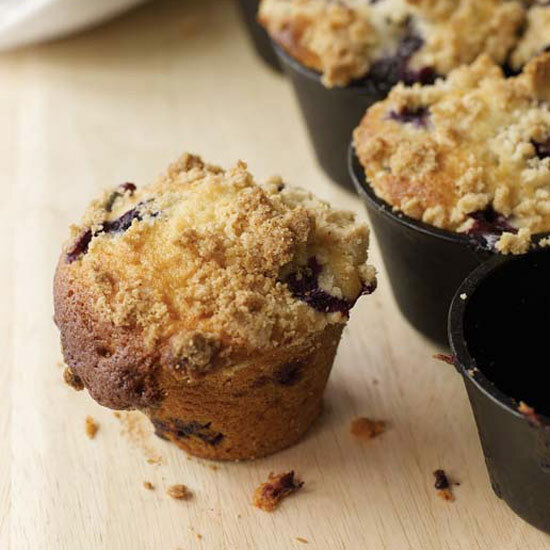 These muffins are crisp on top with light, fluffy centers and plenty of big juicy blueberries. 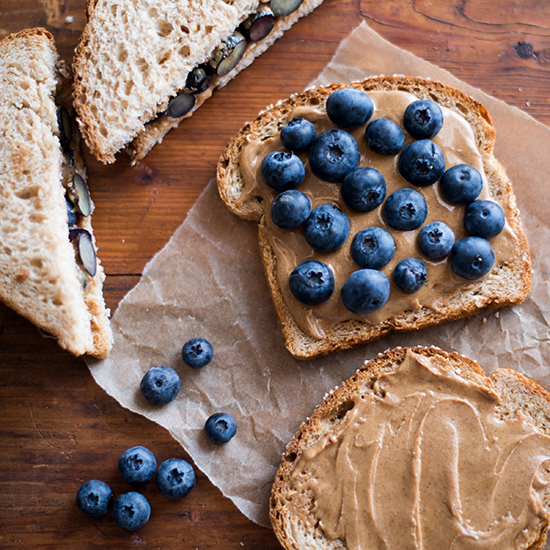 They’re terrific spread with sweet, creamy banana butter. 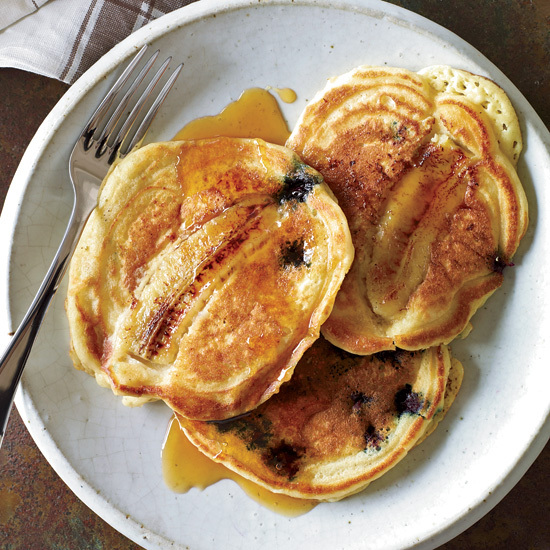 Tyler Florence made these pancakes at home one weekend morning with his son Hayden. 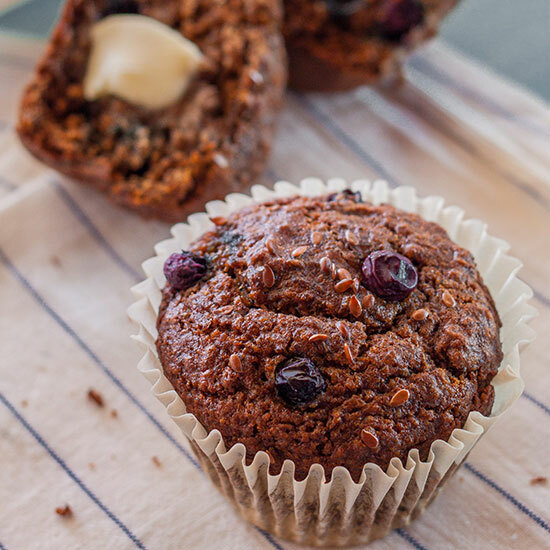 They're a slight variation on a recipe from his book, Tyler Florence Family Meal. Kohlrabi tastes a lot like a broccoli stem, but it's milder and sweeter and the texture is crisper. 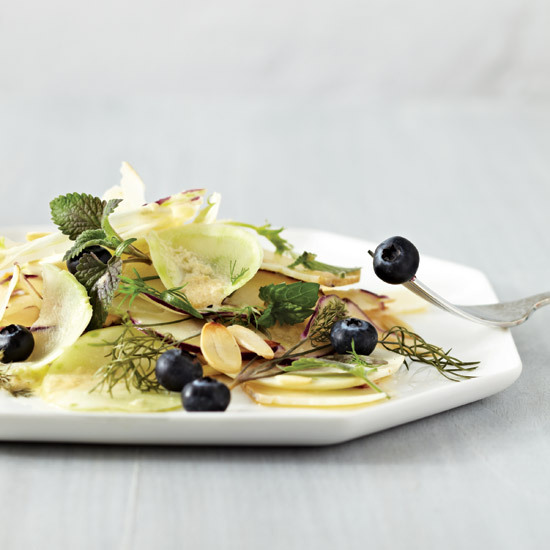 Chef Stephanie Izard of Chicago's Girl & The Goat thinks it's an underappreciated vegetable, so she makes it the star of her delicious salad, served raw in very thin slices. In fact, she likes the dish so much that she takes some home to eat on the couch after service a few times a week. 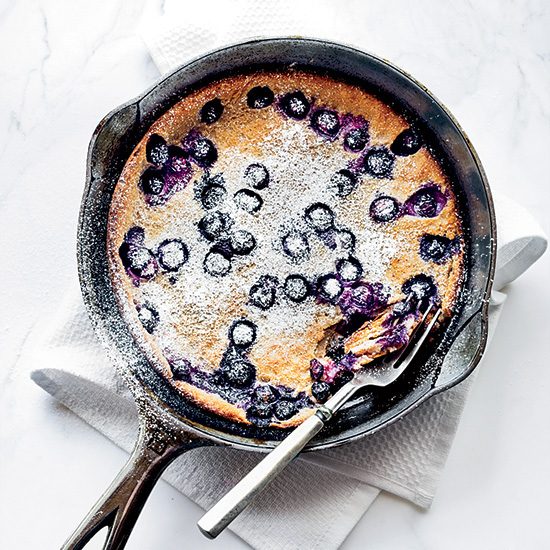 You can easily replace the blueberries with other kinds of fresh fruit, such as raspberries or peaches (chopped into small pieces). In the off-season I used IQF (individually quick-frozen) fruit; there's no need to thaw. 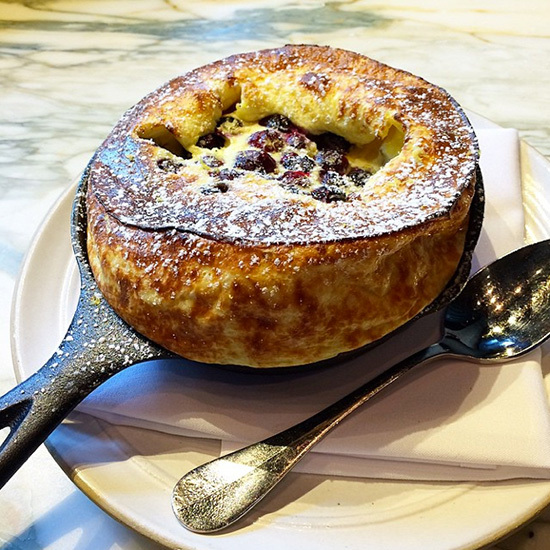 Diedier Elena makes this amazingly puffy Dutch baby pancake with creamy ricotta, zesty lemon, and fresh blueberries. 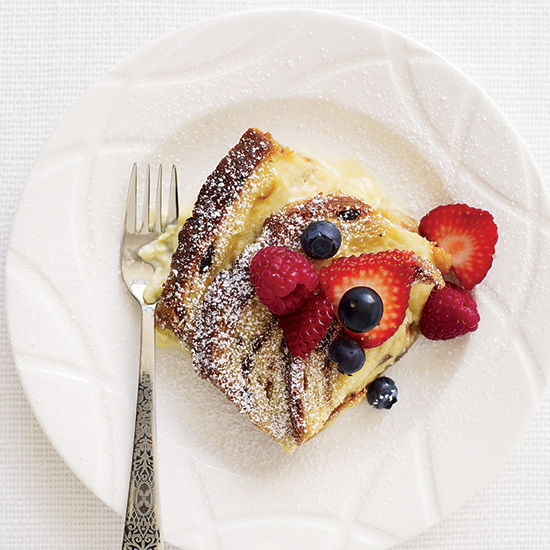 Serve it dusted with confectioners’ sugar for an impressive yet easy-to-make brunch dish. 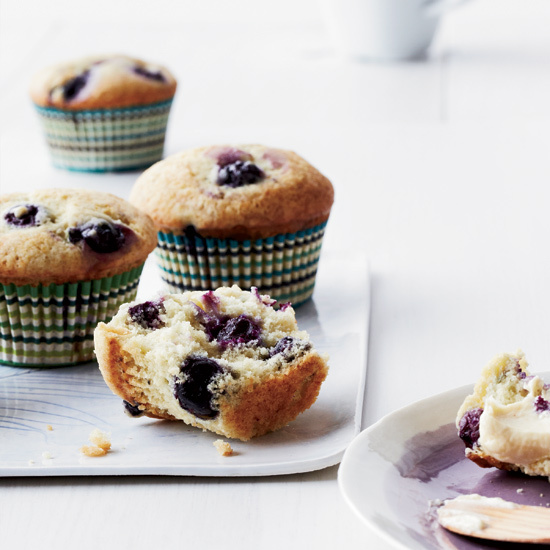 These crumbly, gluten-free muffins are the perfect balance of sweet and tart. They will keep for up to 2 days in an air-tight container. 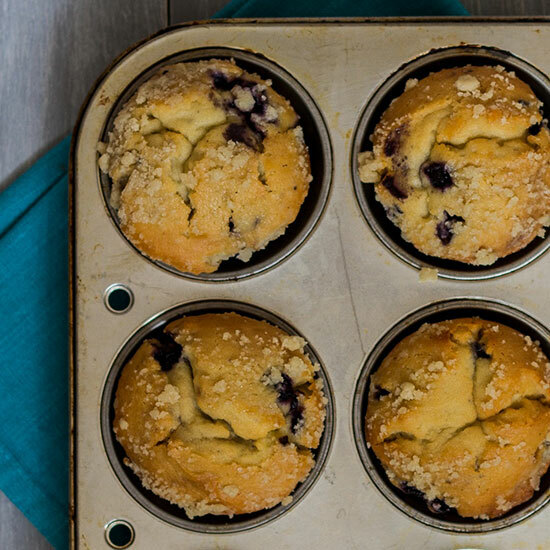 Fresh blueberries are cooked down to a compote and swirled into sweet corn muffins. 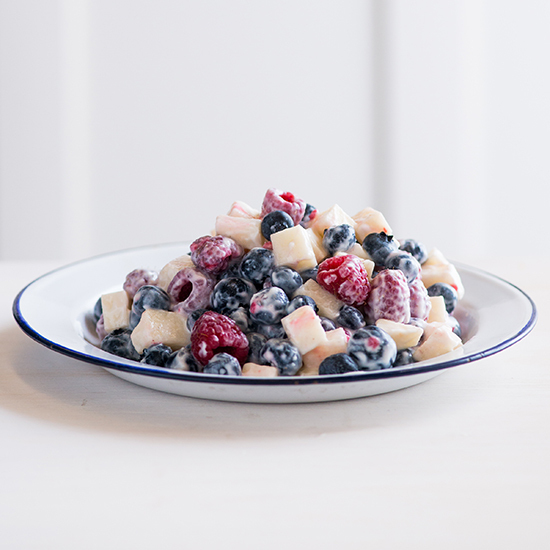 Celebrate the Fourth of July—or any summer gathering—with this fun and festive creamy fruit salad.